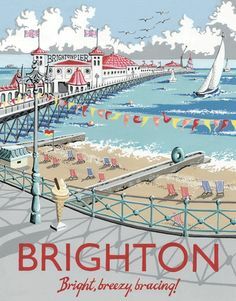 Years ago, when my wife and I were just dating, she took me on a day trip to the seaside at Brighton. It was my first exposure to the British at play in a marine environment. It was a fairly warm day – I remember the sun came out for whole moments at a time – and large numbers of people were in the sea. They were shrieking with what I took to be pleasure, but now realise was agony. Naively, I pulled off my T-shirt and sprinted into the water. It was like running into liquid nitrogen. It was the only time in my life in which I have moved like someone does when a piece of film is reversed. I dived into the water and then straight back out again, backwards, and have never gone into an English sea since. That excerpt is so funny. Really tempts to read more. Liquid nitrogen indeed! True though ….